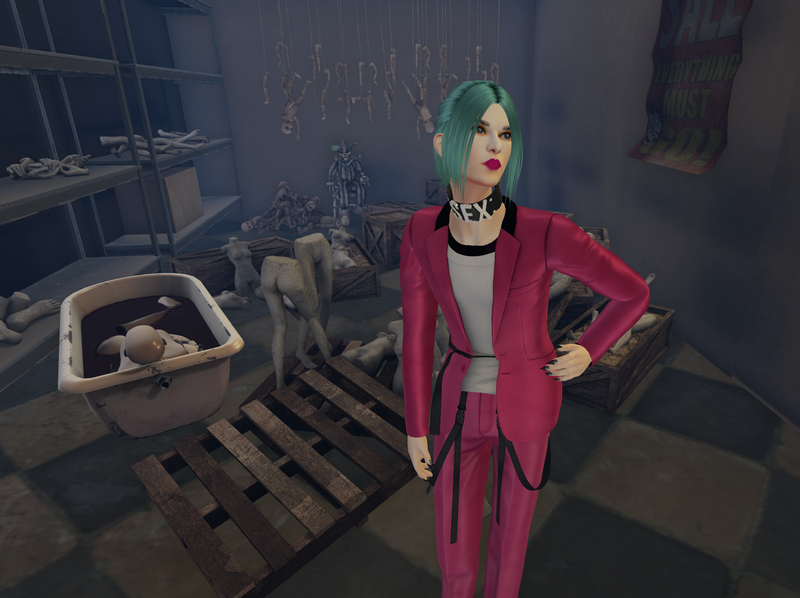 Ok, so in case you haven’t already noticed, Artificial Hallucination is officially my new favorite brand in SL. I’ve been buying up nearly everything they have and blogging as much of it as possible, ever since discovering this amazing, innovative and groundbreaking brand. They do stuff for guys that no one else dares to do, including these new Kittikatz Boots, tall platform couture-meets-fetish heels that are unlike anything I’ve ever seen or worn in SL before, and believe me, I own a LOT of boots. A major boot fetishist as myself is so in love with these that I might just elope and have a secret 2nd wedding with them. Sorry Byrne . LOL. I’m just living for these babies and for the Nightwalker Vest in Latex also from AH. So check out this store, so much is unisex including what I’m wearing from them in this post so you can bring your girlfriend or boyfriend along too for a fun shopping trip.